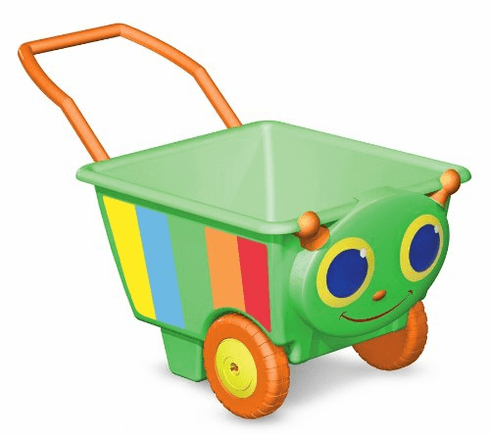 This sturdy, generously sized and brightly colored plastic cart has a handle and wheels for “loads” of indoor or outdoor fun. Whether your child wants to fill it with blocks, take favorite stuffed animals for a ride, or shuttle games and toys, this cart will come in handy for hundreds of activities. The faces of your child and Happy Giddy will smile wherever they go. Easy assembly will make you smile, too.